This article appears in two parts, owing to its length. The author has made a deliberate effort to excavate and preserve some of the colourful archaic language of the newspaper and archival records. All newspapers cited are from 1888, unless otherwise noted. 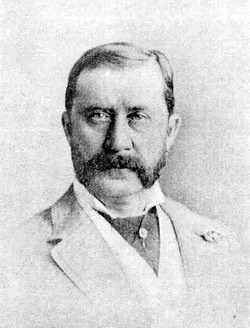 Lord Frederick Arthur Stanley, Baron of Preston (1841-1908), "a plain man and looks more like a quite well-to-do gentleman farmer than a Governor-General of Canada. He is of medium stature with a short, full brown beard of scant growth and hair to match" (TEN Sept. 10, p. 4). At the T.I.E. in 1888, "His Excellency was dressed and looked well in a black Prince Albert frock, with striped pants of exact fit. On his head was a shiny plug, while beneath the frock coat could be seen the broad crimson sash of the K.C.M.G. order. Beside the star of the same order on the left breast was a badge of the Brock, Simcoe and York Pioneers. The only other jewellery visible on His Excellency was a double-switched gold chain strung across the front of his waistcoat" (TW Sept. 12, p.1). A dubbed copy of an Edison wax cylinder recording exists purporting to be the voice of Lord Frederick Arthur Stanley, Baron of Preston (1841-1908), welcoming the President and people of the United States to Canada. It was once thought to be the voice of Sir Henry Morton Stanley (1841-1904), the famous journalist and explorer who found Dr. Livingstone in East Africa in 1871 (H.P. Court, Rococo Record No. 4001, Toronto). The accepted story now, formulated by Leo Laclaré, former Head of the Historical Sound Recording Department at the Public (now National) Archives of Canada, is that this recording was made at the Toronto Industrial Exhibition (T.I.E.) on the day that Lord Stanley of Preston opened the fair, September 11, 1888 ("Lord Stanley and the Demonstration of the Edison Perfected Phonograph in Canada, 1888" by Leo Laclaré, Journal of the British Institute of Recorded Sound, April - July, 1973, p. 198). Laclaré noted that, if his dating were correct, this was the oldest recording made in Canada and the oldest Edison recording then available. The bare facts are that Lord Stanley paid his first official visit to Toronto, September 10 - 12, 1888, did open the T.I.E., and Edison’s Perfected Phonograph was on exhibition at the fair that year. The purpose of this study was to explore the contemporary press and Canadian archival records to see whether it might be possible to discover the exact circumstances and the time of the making of that ancient recording. The best use that I can make of this wonder of the age, the phonograph, is to bid you, on behalf of the citizens of the Dominion of Canada, the most hearty welcome and to assure you that we are at all times most happy to meet our friends from the United States in the pursuit of song, of art and all that may embellish the human life. We bid you a very hearty welcome." Edison staged a press conference at his enormous new laboratory in Orange, N.J., on May 11, 1888, to show reporters some "astounding experiments on his improved (battery-operated) phonograph" (NYT May 12, p. 8). This improvement was propelled by the work of Bell and Tainter, who devised wax-covered cardboard cylinders to supercede Edison’s fragile tin-foil sheets for recording and playback. 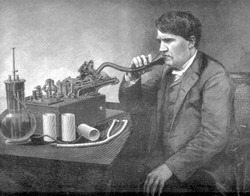 Edison had now come up with a much better and more durable medium, hollow white or yellow paraffine wax cylinders. A new factory was to be started the next week and the machines and cylinders would be on the market within a month. The next day, Edison and Prof. R.T. Gilliland brought a dozen little phonographs to the Electric Club, New York, where they recorded Gen. William Tecumseh Sherman and others speaking, preaching and telling jokes and stories (NYT May 13, p. 5). A few weeks later, Edison sent a further improved version of the phonograph overseas to Col. George E. Gouraud, his agent in London. He also promised to send his Perfected machines to all the crowned heads of Europe (TG July 2, p. 6). In July, there were reports that Edison would soon be receiving phonograms from Gouraud, inscribed with the voices of ex-P.M. William Ewart Gladstone, the Rt. Hon. Arthur James Balfour and the great diva Adelina Patti (NYT July 10, p. 4). It was astounding to the world that, by means of a peculiar little machine the size of a Remington typewriter or a sewing machine lid, these treasured voices could be heard more than 3,000 miles from where the words were spoken and sung. The paraffine wax cylinders could be listened to over and over again and could be played on any other like machine anywhere in the world! Gouraud and Edison were going to correspond across the Atlantic by means of mailed phonograms, and would exchange spoken and musical "records" (LT June 27, p. 12). At this point, Edison was talking about being able to reproduce recordings in any number - a premature prediction, because the Gold Molding process was years in the future - and The Times observed, "The power of fixing and reproducing human speech will form an era in the history of civilization" (LT June 30, p. 5). Excitement about Edison’s improved phonograph rose to a high pitch around the world that spring. On July 31, 1888, H.J. Hill, the Manager and Secretary of the T.I.E., wrote to Edison’s private secretary (the letterhead reads only "Canada’s Great Industrial Fair & Agricultural Exposition") saying that Mr. Edison had consented to exhibiting his new Perfected Phonograph at the Buffalo Fair in September and that Mr. Robinson, Manager of the Buffalo Fair, had advised him to write to Mr. Edison to enquire whether the machine and the person in charge of it might be sent to Toronto at the close of the Buffalo Fair for exhibition here (RUEP Letters of A.O. Tate, D8847, file series 1888, TAEM 124.175). It seems, however, that the Edison machine was not shown in Buffalo. Some Toronto gentlemen went there expressly to see Edison’s phonograph and were disappointed to find "the Tainter phonograph being used as a substitute" (TG Sept. 7, p. 1). About that time, the T.I.E. was informed that it would not be possible to supply a Perfected Phonograph as not enough machines had been manufactured, whereupon Mr. John J. Withrow, President of the Board of the T.I.E., prevailed upon his old and influential friend, Mr. Erastus Wiman of New York, to see what he could do for them. Wiman managed to secure not only a phonograph but "an expert electrician to manage the instrument" (TG Sept. 3, p. 6). Wiman was well known to Edison. There are over 80 letters in the Edison papers to, from and about Erastus Wiman. One of these, a letter from G.P. Lathrop to Edison’s private secretary, Alfred Ord Tate, is about Wiman’s wanting to lease "Amusement Phono" for exhibition on a profit-sharing basis. Failing this, Wiman might deal with the Tainter group, "grab the field.....injure Edison.... and the Ed. Phono Co." Edison would be "throwing away a business which might bring in from $1000 to $5000 cash per week" (RUEP Tate Letters, June 27, 1888, D 8848 ACM; TACM 124.371). This lease was likely how Wiman had access to a spare phonograph for the T.I.E., while Edison did not. Wiman added a bonus to his gift: "Before the phonograph leaves New York, Mr. Wiman has consented to make a speech into the machine, and on Opening Day (Tuesday, Sept. 11th), the phonograph will repeat this address to the audience" (TG Sept. 3, p. 6; ET Sept. 3, p. 4). A memo exists from Tate to Edison asking who was going to be sent to New York on September 6, 1888, "to Lippincott.....to be present when Mr. Wiman is making his phonograms?" Edison replied that he would send over Miller and ½ dozen new "phon’s" (RUEP Tate letters, Sept. 5, 1888, D 8848 ADM, TAEM 124.406). This is likely the occasion when Mr. Wiman spoke his addresses for the T.I.E. into the phonograph, possibly supervised by Jesse H. Lippincott, recently elected President of the North American Phonograph Company. Two days after the recording session, one Toronto newspaper reported that the Edison Perfected Phonograph had been "shipped from New York and will be on hand for the opening" of the T.I.E. (ET Sept. 8, p. 3), and another that it had already reached Toronto (TEN Sept. 8, p. 7). The machine would be under the charge of Mr. George H. Dunham, who was an Edison agent employed at Orange, N.J. (RUEP Edison to C.S. Folley, Oct. 1, 1888, D 8818 AUD; TABM 122.588). 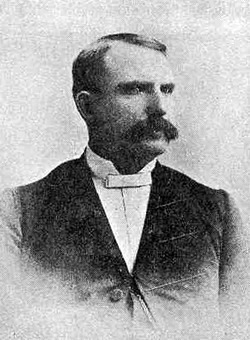 At least four demonstration wax cylinders arrived with it from New York (TW Sept. 13, p.1; TG Sept. 13, p. 4), each containing a short speech by Erastus Wiman. These recordings may have a pivotal role in the question of the timing of Lord Stanley’s famous recorded message. Note that the four cylinders of Wiman’s voice which came to Toronto in 1888 with the Perfected Phonograph had to have been of white or yellow paraffine wax, because the improved brown wax was not introduced until after March 1889. Mr. Erastus Wiman (born: Churchville, Toronto Township [Peel County] Upper Canada, April 21, 1834 - died: Staten Island, N.Y., February 9, 1904), a wealthy Canadian expatriate businessman, promoter and author, was an untiring advocate of Commercial Union (reciprocity or free trade) with the U.S.A. Just at this time, negotiations for a fisheries treaty had failed, even though the United States was getting 90% of its demands. President Cleveland was stalling about indicating whether he would run again for President, and was making noises about requiring free trade of Canada. There were other U.S. voices calling for the opening up of Canada for free trade, talk of annexation of Canada and perhaps of war. That week the House of Representatives determined to play hardball and passed a Retaliation Bill against Canada, the Mills Bill, which would have raised tariffs enormously and slashed trade between the two countries. (The Mills Bill was defeated in the Senate, but the harsh McKinley Tariff Act was passed in 1890. 67% of Canadian trade had been with the U.S. By 1893 it was down to 16%, and trade with Britain had increased from 33% to 84%.) In September 1888, feelings against the United States and its flag, against any talk of free trade and against Mr. Wiman, were running high in Canada An editorial, pointing to the Americans disparaging Canada and desiring to chop off Canadian railroads at the border, insisted that Manager Hill take down the American flag over the western entrance to the T.I.E., because the Americans would never tolerate a British flag at the Buffalo Fair (TEN Sept. 12, p. 2). His Worship Mayor Edward Frederick Clarke, M.P.P. (Liberal-Conservative), an honest and efficient administrator, printer-turned-owner of The Sentinel, Deputy Grand Master of the Orange Order in British America, United Workmen, Freemason and Loyal Orange. 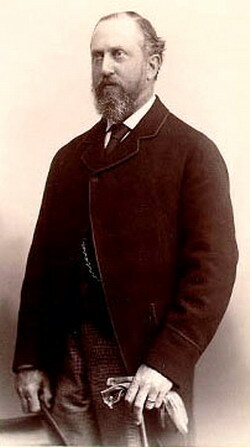 Toronto’s Tory Mayor, Edward Frederick Clarke (1850-1905), was very upset at the prospect of Wiman’s spouting his free trade propaganda by phonograph at the fair and wrote to Manager Hill, hoping "there will be no political matter of any kind in the speech, as, if there were, it might cause division and mar the success" of the fair. The letter somehow got out and the New York press reported Clarke warning Wiman "not to inflict his views on Commercial Union upon the Canadian public through the medium of Edison’s phonograph" (TDN Sept.10, p. 4). One paper said that Wiman had been invited to speak about free trade on Farmers’ Day, that the Board had turned it down and someone suggested he speak strong words about free trade into the phonograph (NYT Sept. 9, p. 1). Subsequently, a letter and an editorial reaction appeared together under "The Muzzled Phonograph". The editor wondered what flat blasphemies Wiman’s speech might contain, and opined that farmers would welcome free trade and that the ruling party must be in a bad way to think the phonograph message politically offensive (TG Sept. 11, p. 4). The Empire supported Clarke: "This is obviously the right course to adopt, for party politics should not be allowed to bring discord into the proceedings. From the outcry that some Grits are raising over this sensible restriction, there is, however, room for suspicion that they had contrived a little plot to disseminate their partisan views in this unjustifiable manner" (E Sept. 12, p. 4). The ET regretted that the Mayor had raised a groundless alarm over the scientific toy to "silence an exiled and commercially erring son", that Clarke was injudicious to have expressed this in an official note and that the whole thing had been grossly exaggerated by the press (ET Sept. 11, p.2). This critical editorial is actually part of a continuing ET campaign against Clarke, and explains why that paper published an uncorroborated report next day, cited below, that Wiman’s speech had been played at the opening ceremony, immediately after Lord Stanley had declared the T.I.E. officially open (ET Sept. 11, p. 4). Hill had amassed a stupendous collection of amusements and commercial exhibits for the 10th annual T.I.E. Among them were the Prof. Burton’s (or Morse’s) Wonderful $10,000 Dog, Cat and Monkey Circus, speeding in the Horse Ring of the grand stand, Herr Weitzmann (or M. Zantretta) on the high rope, Prof. Hartt’s Viennese Lady Fencers, M. Valjean’s juggling, Mr. Williams’ balloon ascensions and 3000-foot parachute drops, the female International Bicycle Contest, a fishery exhibit, Morris’ Temple of Mysteries and Automatical Wonders, concerts by Prof. Toulmin’s Exhibition Band, the "C" Company Band, the Massey Band and Archduke Joseph’s Hungarian Gypsy Band, organ and piano recitals in the Main Building, Prof. F.A. Thomas’ national dances of the world and tableaux by 16 pretty little girls in costume, the Zoological Garden, the Machinery Building, Fruit and Flower Building, provincial exhibits, Fine Art Gallery, and the daily pyrotechnical display of the Siege of Sebastopol. Edison’s phonograph was not included in the early announcements in the newspapers (E Sept. 8, p. 4). The Canadian National Exhibition Archives, however, has original copies of the little "Program for Canada’s Great International Fair and Exhibition", undated, containing a late notice: "Many other attractions are still being negotiated for, including Munkacsy’s great $100,000 picture 'Christ Before Pilate' and Edison’s latest and most wonderful invention, the Perfected Phonograph" (Acc. #94 03, p. 12, C.N.E. Archives). Lord Frederick Arthur Stanley, sworn in as Governor General of Canada, June 11, 1888, made his first visit to Toronto from September 10 to 12, 1888, and performed one of his first Vice-regal acts by opening Toronto’s great fair. Mayor Clarke officially informed the Industrial Exhibition Association on July 10 that "there was very little doubt but that Lord Stanley the new Governor General would open the Exhibition" (Minute Book, Industrial Exhibition Association of Toronto, p. 286, C.N.E. Archives). Lord Stanley’s party arrived at the old Union Station by C.P.R. at 8:40 a.m., Monday the 10th, in the Government car "Cumberland". 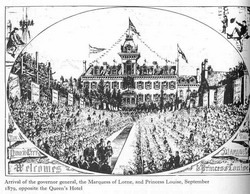 Accompanied by the Mayor and the City Council’s Reception Committee, they drove through streets of cheering crowds to the Queen’s Hotel, where the "Red Parlor" was set aside for his suite (E Sept. 10, p. 3). From 2:30 to about 6 p.m., Lord Stanley received delegations and listened and responded to formal addresses by the Synod of the Toronto Diocese, St. George’s Society and the Toronto Conference of the Methodist Church, then off to the Board of Trade Building, back to receive the Sons of England, the Army and Navy Veterans and the St. Andrews Society. The ET decried the farce of these tedious recitals of esteem and illuminated platitudes, suggesting that Lord Stanley might prefer working in a quarry (ET Sept. 8, p. 4). 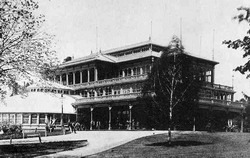 At 8 p.m., he was escorted in a torchlight procession by mounted police, the fire brigade, Heintzman’s Band, the Sons of England Mounted Corps and various patriotic societies along York, King, Yonge and Gerrard Streets to the Horticultural Pavilion in Allan Gardens where a grand reception was staged. Later, back at the Queen’s, His Excellency hosted a supper for the Civic Reception Committee. The second part will follow Lord Stanley through his busy second day in Toronto and will detail the showing of the Perfected Phonograph at the T.I.E., looking for the opportunity for His Excellency to have made the cylinder of welcome to the President and people of the United States.